Networking has been established as an important source of small- to medium-sized enterprises (SMEs) business expansion in many developed economies. Often, it provides the necessary intelligence leading to internationalization. 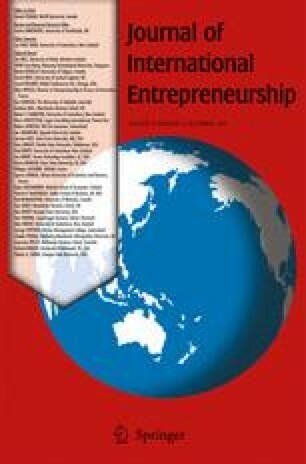 The question this study addresses is “What are the roles and sources of networking of SMEs internationalization in emerging economies?” This study responds to this query through a dyadic study involving expert-opinion survey of SME development professionals and case studies of SMEs internationalization. The convergent views identified three interconnected sources of networking for SMEs internationalization, which are government institutions, business associates, and personal relations. The results affirmed that accomplishment of internationalization requires cohesion among the myriads of networking sources and operating agencies. A systems approach towards supporting the creation and management of networking linkages for internationalization combines systems thinking perspective with institutional view. It emphasizes integration of coordination, facilitation, and monitoring functions. Thus, suggesting institutional support and systems thinking are important constructs in the theory of international entrepreneurship. Policy makers and entrepreneurs of SMEs gain actionable points to ensure effectiveness of institutional support mechanism and to enhance their business internationalization, respectively. The authors would like to express their appreciation to the three anonymous reviewers and the journal editor, Professor Hamid Etemad, for their comments on the early drafts of this paper.